Make your own weight loss smoothies and watch the pounds drop the healthy and delicious way! Beet is one of the superfoods with high levels of antioxidant so just imagine it in your homemade weight loss smoothies! You may not exactly love fresh beet in your drink but with blueberries, strawberries, and bananas, you'll never notice them at all. When it comes to the obvious beet color, though, you'll just have to love them because what causes beet's deep color is in fact, the phytonutrient betalain–an anti-cancer antioxidant. Breakfast is the most important meal of the day, and for busy DIY junkies, skipping it is a big no-no. Yet for weight loss' sake, many still skip breakfast altogether. Apples are both delicious and nutritional so having them in your weight loss smoothies is a healthy treat, indeed. 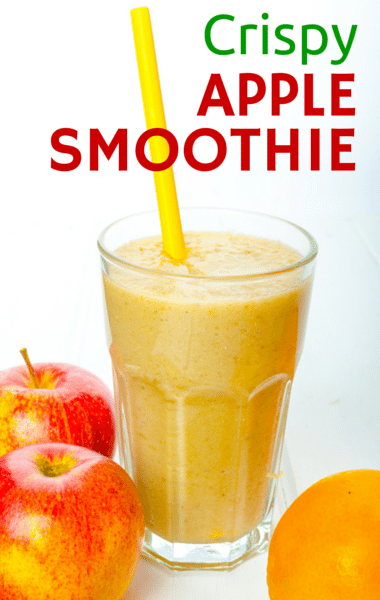 If you're working to lose weight on your own, you'll never go wrong with this skinny crispy apple recipe for a smoothie. If you're also looking to lose weight a little extra faster, this recipe will help, too. That's because the healthy spinach comes in the mix. Combine granola and banana for a delicious breakfast smoothie. so you can have your breakfast on the go. Coconut milk will give it a rich and creamy flavor you will enjoy, indeed. In fact, we love the wonderful rich flavor from the coconut milk, plus the crunch you get from the crunch from granola. Yummy! You'll happily wake up early every morning to prepare this drink, because it will give you clearer skin, more energy, and improved metabolism, of course. This glowing green smoothie recipe has an excellent balance of fresh green with sweet, too–you will love yourself something green! Whoever said losing weight had to be difficult and tasteless? You'll enjoy this mix of peanut butter and banana that tastes like a sinful snack, for sure. 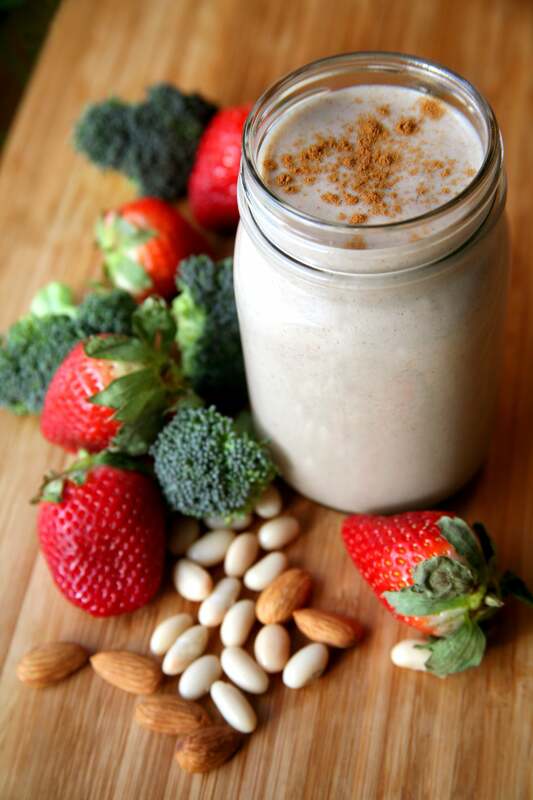 This peanut butter smoothie recipe is also wonderful pick-me-up for in the morning. If you're up for more green smoothie recipes, make sure to make room for this one, too. You'll go ga-ga over this homemade drink because protein, calcium, and fiber make this sweet spinach smoothie a filling, fat-burning meal. In fact, Julianne Hough is a fan! The recipe is from celebrity trainer Harley Pasternak so you know it's worth checking out. Reach your weight loss goals by including this beautiful and delicious healthy smoothie in your daily regimen. It's a seriously irresistible and super tasty drink, too. 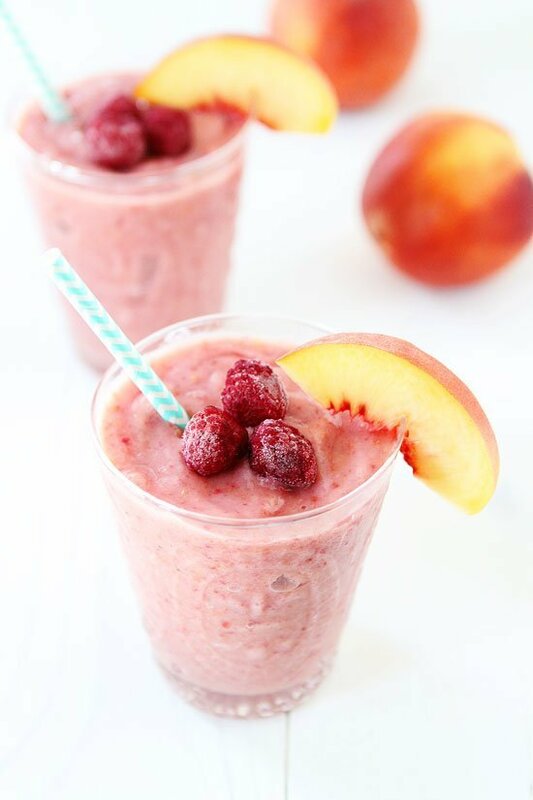 In fact, with fresh peach and raspberry combo, you'll want it for breakfast, snacks or even dessert! 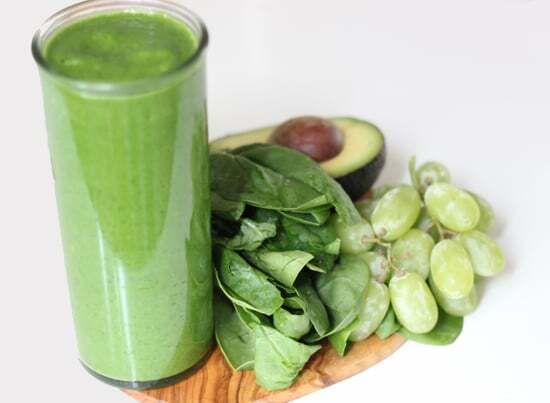 Jump start your day with healthy smoothie recipes so you can lose weight properly. In fact, low and steady is the key to losing weight the right way. 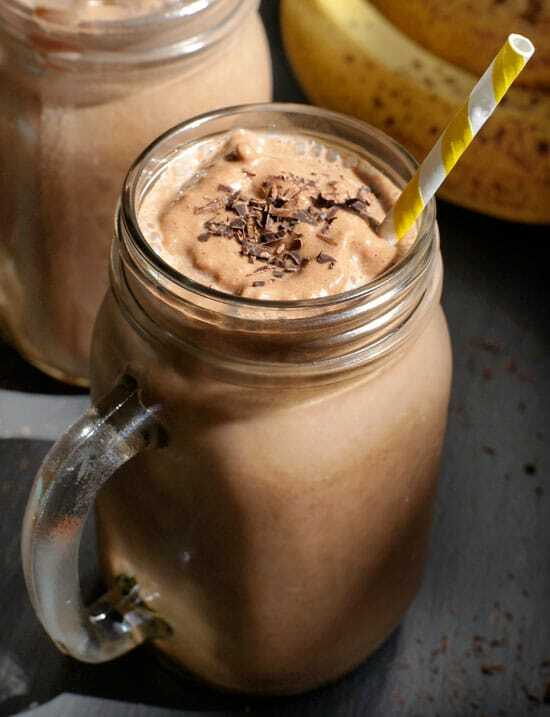 So give this chocolate banana protein shake a try, along with the rest of the breakfast smoothies here, every day. It's also an all-natural source of protein, thus perfect for a yummy go-to post-workout drink! This is a perfect combination of cleansing fruit and veggies because the fibrous bananas and refreshing cucumbers are. Thus, a great-tasting, ultra-refreshing tropical dose of nutrition. We're not surprised at all if you find yourself making this juicy pineapple-cucumber smoothie as part of your dietary plan! 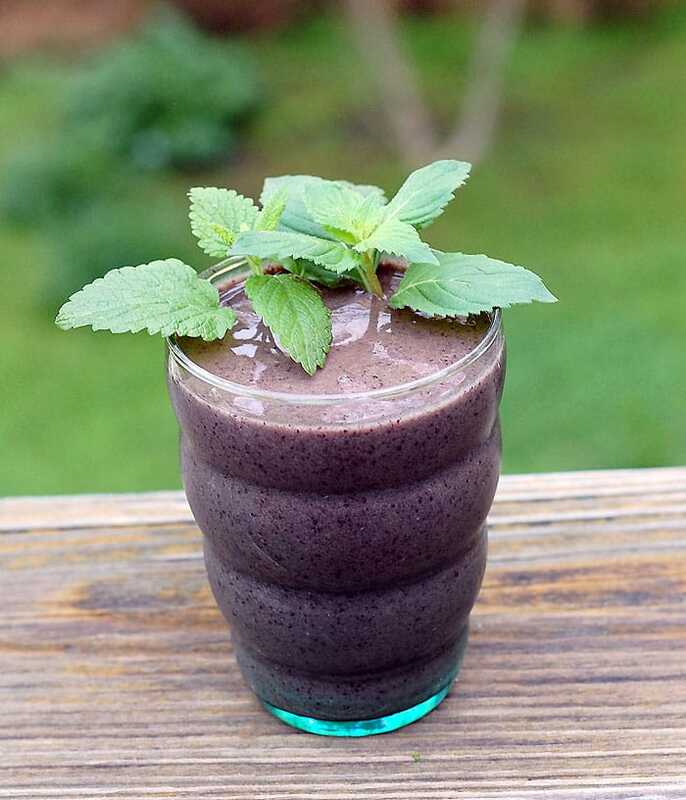 If you're a lemon balm mint and blueberry combo fan, then this smoothie is for you. In fact, you'll love it even more with its high vitamins and mineral content. Its ingredients also add some zing and a slight sweetness to your smoothies. 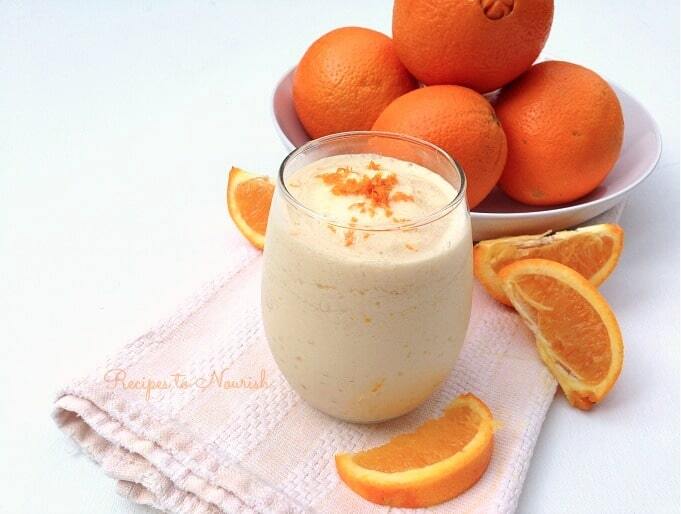 This orange creamsicle smoothie is seriously irresistible– it's like a ray of sunshine! It's also healthy + nourishing and packed full of flavors that give more energy and help burn fat, as well. 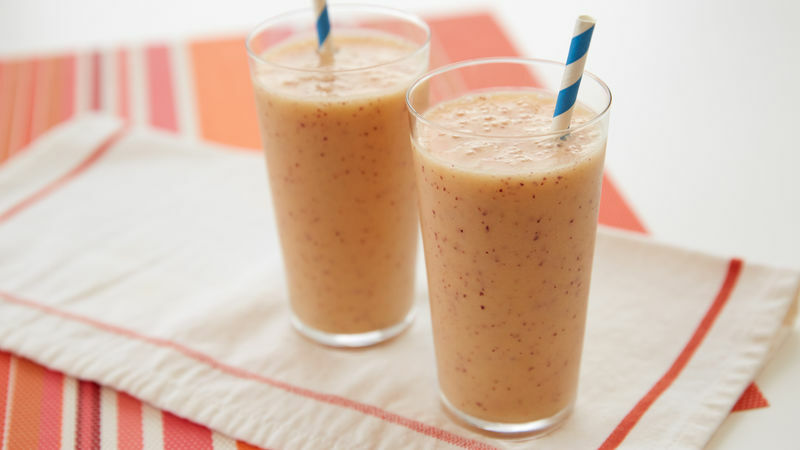 Blend peach and banana together, and your smoothie will look like an early-morning sunrise. All you need are five ingredients, five minutes and a simple step to blend this wonderful cold drink. Loaded with Vitamins A and C, this pumpkin smoothie can be your new health drink to love, indeed! That's because its ingredients give the smoothie a lovely built-in sweetness and flavor–you won't notice you're losing weight while enjoying the flavors. 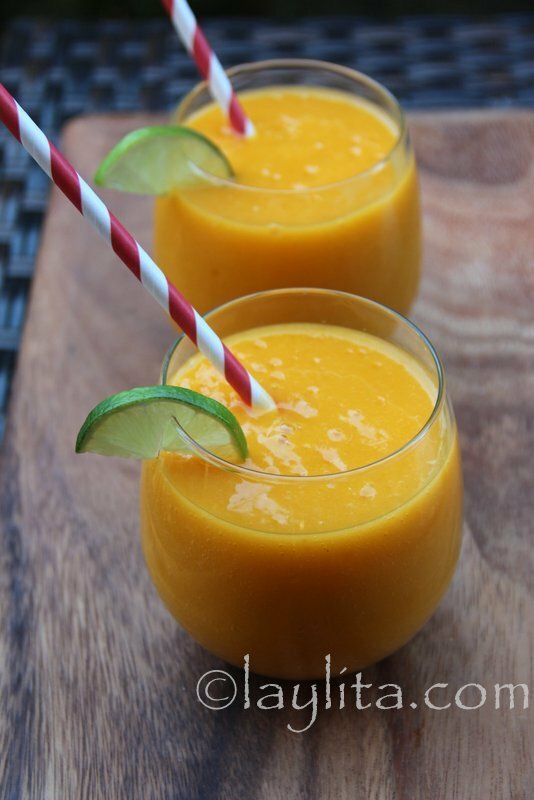 Passion fruit pairs well with mango in this tropical-flavored smoothie you will love to make and drink every day, for sure. 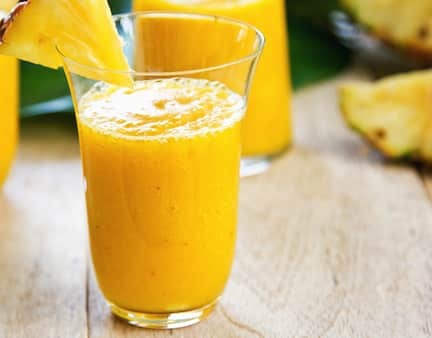 So, always start your day the nutritious way with this mango and passion fruit smoothie, that's full of vitamin C, and fiber, while being low in fat. There you have it, your choice of 15 delicious homemade and easy smoothie recipes for weight loss! These weight loss smoothies are not only guaranteed to supply your daily dose of vitamins and minerals, but also give you enough of a boost so you'll keep away from eating unhealthy snacks, altogether. Now you know your way to losing weight on your own, the healthy way, too! Did you enjoy our list of weight loss smoothies? Let me know in the comments section below. Editor’s Note: This post was originally published on November 28, 2016, and has been updated for quality and relevancy.